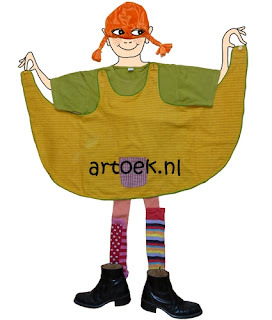 New in the webshop; sewing pattern for Pippi apron. The apron may fall over, make it rather too large than too small. Draw back and front part in full size and stick the parts together. You make the apron from one piece. Strengthen the 4 shoulder pieces with an extra piece of fabric (for the buttons and button holes). 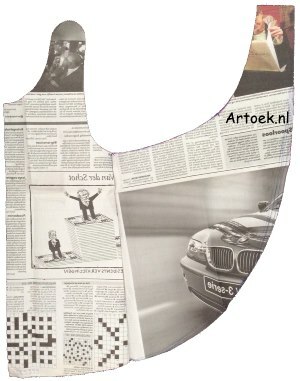 You can assemble the apron with a band, a seam or decorative stitch. Or you can make the apron of double fabric. All sizes don't have seam surcharge. If you seam or make the apron of double fabric, then cut 1 cm extra around. You can make 1 or 2 bags. In the Pippi movies the apron has 2 fairly large square bags (15 x 15 to 20 x 20 cm) to the side. Make the rectangle, pull a midline. Turn points on the indicated places. Pull the straight lines along a ruler. Pull the other lines as fluid as possible through the points. Shoulder front piece with buttonhole middle on dotted line: extension with a half circle between the 2 points. Shoulder back piece with button middle on dotted line: extension with 1 to 1.5 cm between the 2 points. 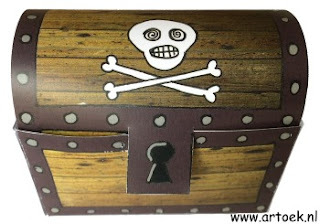 Printable for a treat box. For knights, pirates or birthday-party's. Easy to make (cut, fold, glue). 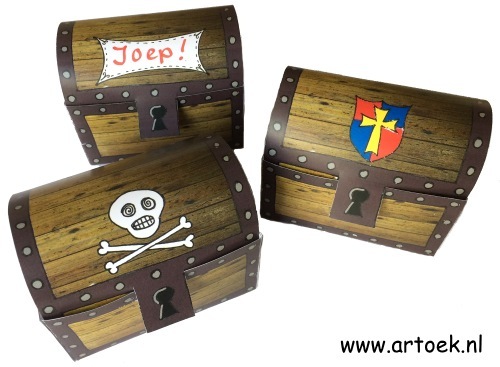 You get 3 PDFs, one with pirate, one with shield and one with space where you can write name or age. You can order in dutch shop (€ 2,95) and pay with creditcard. Black/white pdf to print out. 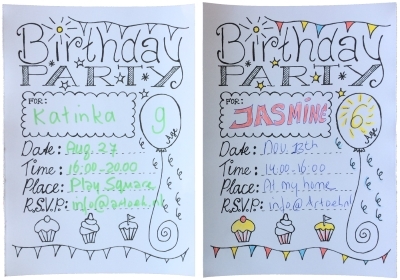 Fill in the details for the party with one, or more cheerful colours. 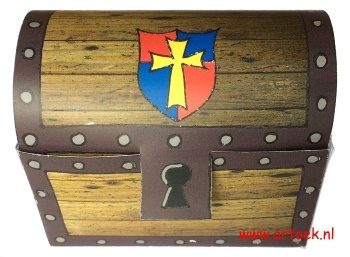 You can order this product here for €2,95. Artoek. Simple theme. Powered by Blogger.